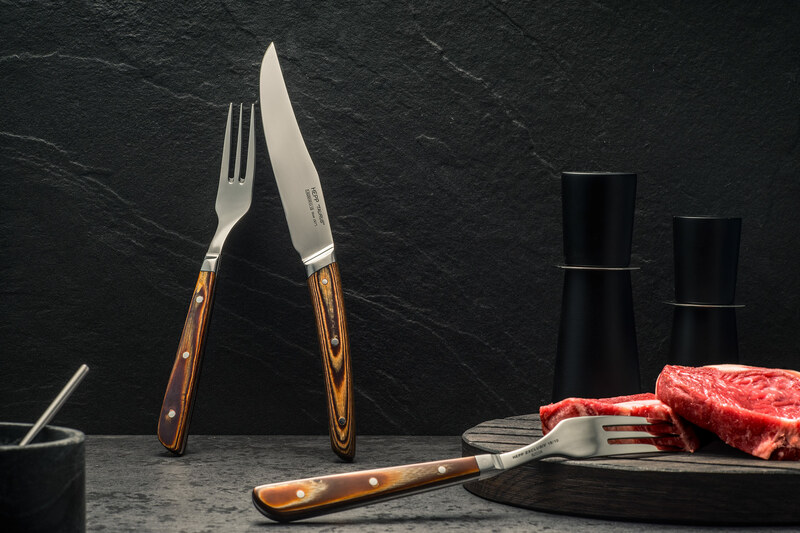 The new TAURUS (Latin for bull) steak knife and fork certainly live up to their name. 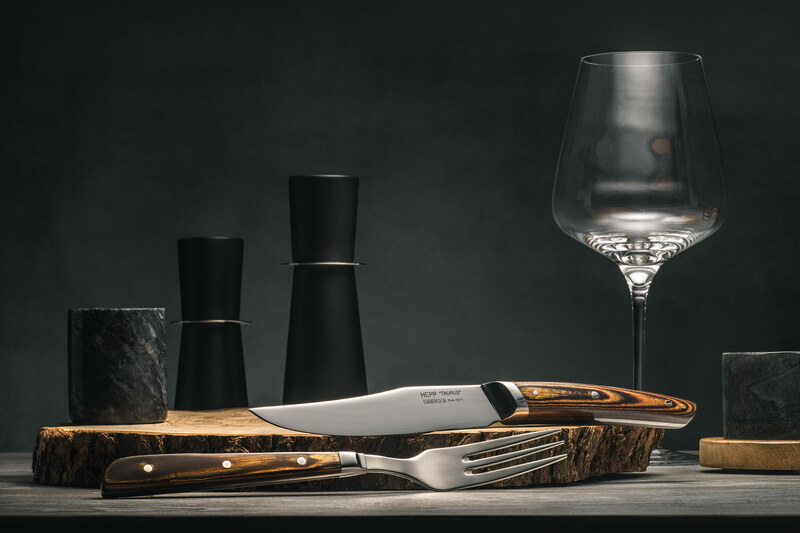 The set is an ideal accessory at the table in all kinds of ambient concepts. 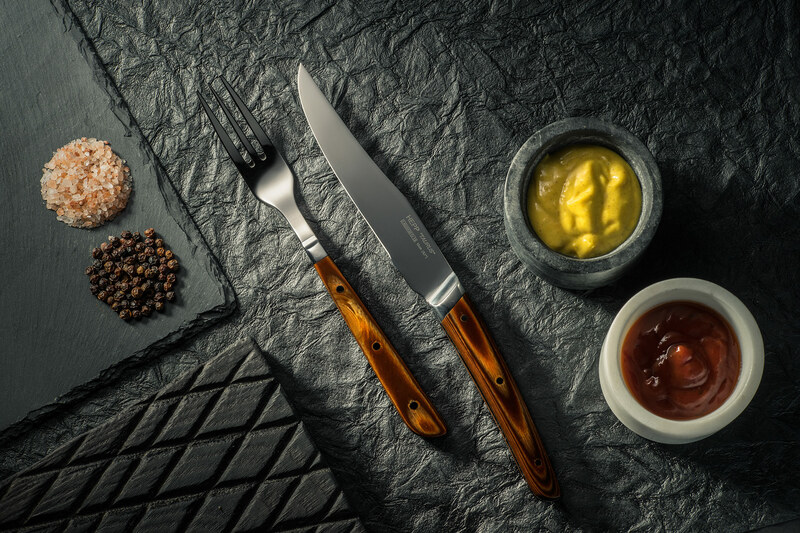 TAURUS scores with timeless design: The dark wood-effect handle is remi- niscent of the classic rustic look, while the slightly curved shape of the knife gives it a touch of elegance. 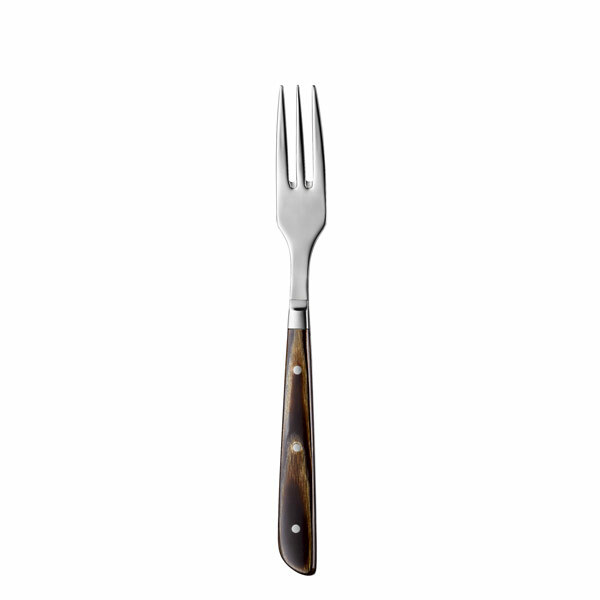 The fork has pointed tines to ensure the required rm hold, while the knife – which is made of long-lasting stain- less steel – has an extremely sharp blade that slices through meat with minimal effort. Item-No. 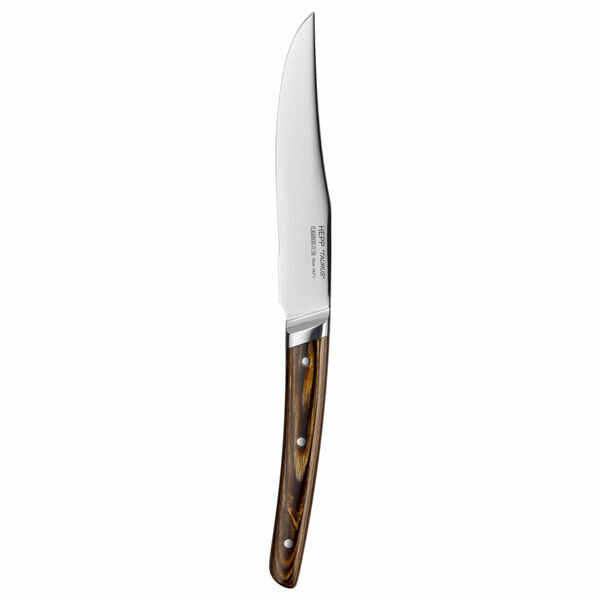 56.0501.6070 | PU 6 pcs. Item-No. 56.0502.6070 | PU 6 pcs.